This weekend five hundred of us are gathering in Louisville, Kentucky, to celebrate the one hundredth birthday this year of Thomas Merton, one of the great peacemakers and spiritual teachers of our time. Born in 1915, Merton entered the Trappist monastery of the Abbey of Gethsemani in Kentucky in 1941, and in 1948, published his best-selling autobiography,The Seven Storey Mountain. He went on to write another hundred books of poetry, theology, spirituality and political essays before his sudden death on December 10, 1968. It’s with gratitude and consolation that I think of this peacemaking monk and writer. For while Daniel and Philip Berrigan taught me resistance to the culture of war, Dorothy Day models hospitality to the poor, and Dr. King exemplifies the methodology of active nonviolence, Thomas Merton embodies for me the creative, spiritual life of peace. By spending hours in prayer, wandering through the woods, reading about every topic under the sun, corresponding with thousands of people around the world, and sharing his spiritual discoveries and prophetic pronouncements with everyone, Merton lived a full life of peace and shared that peace with the world. He calls us all to work for an end of violence and war and become who we were created to be–peacemakers. Merton discovered the spiritual freedom of peace within the boundaries of loving, prayerful nonviolence. Because of his soaring intellect, passionate concern for the world and ever-deepening faith and conscience, he demonstrated a life lived to the full, a life that non-cooperates with the forces of death, a quiet life that plumbed the spiritual depths of peace. These days, when life is so cheap, death runs rampant, and few live life to the full, I find his example to be an amazing gift. I encourage everyone to study Thomas Merton’s work for wisdom and encouragement on their own spiritual journey to peace. Last month, I published a new book, Thomas Merton Peacemaker, the fruit of thirty years of study, with my own reflections about his teachings on nonviolence, disarmament, and the spiritual life and what I’ve learned from him over the years. Merton’s quiet life of peace shows us that we need not give in to violence, that we can create a life of nonviolence for ourselves, that we can reclaim our humanity, that we can be at peace with ourselves through daily prayer, silent meditation, scripture study and solitude. We can live at peace, he insists. We can make peace with the God of peace, with creation, with humanity. What’s more, we need to do this. This is our best hope. We don’t have to become monks or hermits, he writes, but each one of us has to become a person of peace and nonviolence. It is my intention to make my entire life a rejection of, a protest against the crimes and injustices of war and political tyranny which threaten to destroy the whole human race and the world. By my monastic life and vows, I am saying no to all the concentration camps, the aerial bombardments, the staged political trials, the judicial murders, the racial injustices, the economic tyrannies, and the whole socio-economic apparatus which seems geared for nothing but global destruction in spite of all its fair words in favor peace. I make monastic silence a protest against the lies of politicians, propagandists and agitators, and when I speak it is to deny that my faith and my Church can ever seriously be aligned with these forces of injustice and destruction. My life, then, must be a protest against [those who invoke their faith in support of war, racial injustice and tyranny] also, and perhaps against these most of all… If I say no to all these secular forces, I also say yes to all that is good in the world and in humanity. I say yes to all that is beautiful in nature… I say yes to all the men and women who are my brothers and sisters in the world. I think that’s a noble way of living–to speak out against all the violence, killings and warmaking, and to say yes to life, peace and hope. That, to me, is the spiritual life. A prophet is someone who takes quality time to listen attentively to whatever God has to say, and then shares God’s word with the world. Merton listened attentively in contemplative silence for twenty seven years and he shared what he heard. The God of peace, Merton discovered, wants us to live in peace, love and compassion. But there’s more. Turns out, Merton said, God wants us to end war, poverty, nuclear weapons, environmental destruction and systemic violence. Merton spent his last decade vigorously decrying the idolatries and blasphemies of war, nuclear weapons, racism, poverty, environmental destruction and the way church people blindly support our nation’s wars and weapons. An authentic spiritual life requires creative nonviolence, he taught. We can’t claim to worship the God of peace while we continue to support the false gods of war. This political word coming from such spiritual master was a great gift, but it cost Merton terribly. For me, it’s the sign of an authentic Christian, a true spiritual master. And it’s the path ahead for anyone who wishes to go as deep into the spiritual truth of reality as Thomas Merton did. If we dare maintain any spiritual integrity, we too must denounce the horrors of our age, such as drones, systemic racism, permanent warfare, nuclear weapons, corporate greed, and environmental destruction—and work to end them. We too need to envision and pursue a new culture of justice, peace and nonviolence. The duty of the Christian in this time of crisis is to strive with all our power and intelligence, with our faith and hope in Christ, and love for God and humanity, to do the one task which God has imposed upon us in the world today. That task is to work for the total abolition of war. There can be no question that unless war is abolished, the world will remain constantly in a state of madness and desperation in which, because of the immense destructive power of modern weapons, the danger of catastrophe will be imminent and probable at every moment everywhere. The church must lead the way on the road to the nonviolent settlement of difficulties and toward the gradual abolition of war as the way of settling international or civil disputes. Christians must become active in every possible way, mobilizing all their resources for the fight against war. Peace is to be preached and nonviolence is to be explained and practiced. We may never succeed in this campaign but whether we succeed or not, the duty is evident. For years, I’ve tried to heed this prophet’s call to peace. These days, my friends are organizing a public vigil for nuclear disarmament outside our national nuclear weapons laboratories in Los Alamos, New Mexico, for August 6th, the 70thanniversary of Hiroshima, and August 9th, the 70th anniversary of Nagasaki. We will hold a national conference on nonviolence in Santa Fe on August 7-8th, featuring leading voices for peace and nonviolence, and organize hundreds of nonviolent demonstrations against war, poverty and environmental destruction across the country during the week of September 21st, which is the International Day of Peace. See www.campaignnonviolence.org. We’re trying to carry on Merton’s spiritual message and fulfill our own peacemaking vocations. I hope thousands will join us. That’s a message of hope and healing we all need. 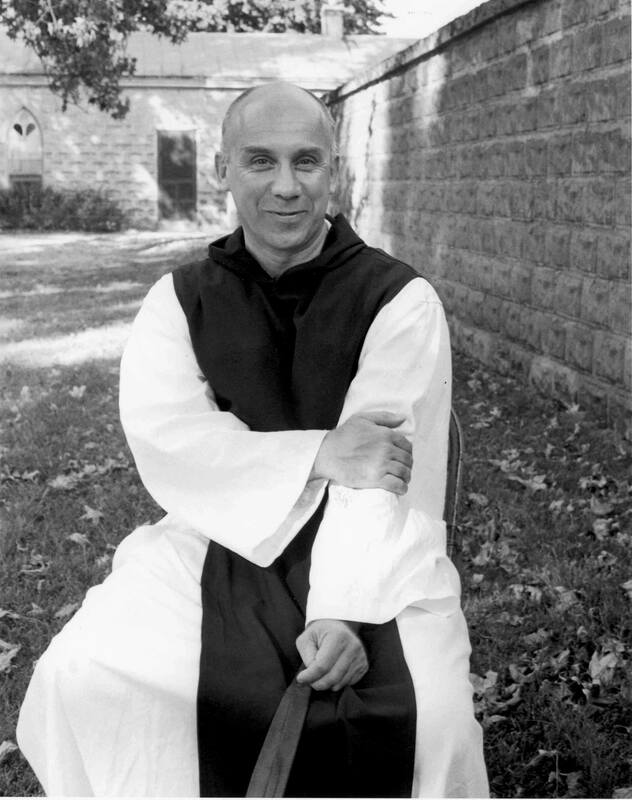 As we celebrate Thomas Merton’s life and teaching, I hope that more and more people will speak out publicly as Merton did and join his campaign of peace and nonviolence for a new world without war or weapons.